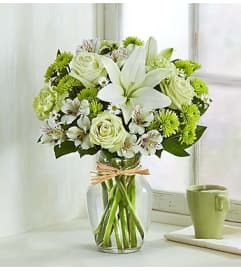 The natural beauty of the Irish countryside comes alive in our classic, St. Patrick’s Day arrangement. 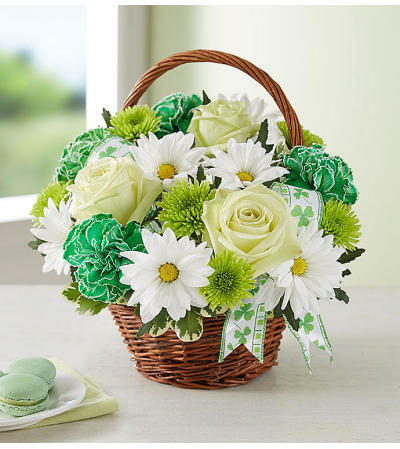 A willow basket is hand-gathered with green and white blooms, then finished with a charming shamrock ribbon. 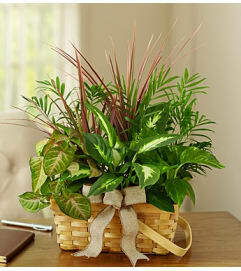 As a gift or centerpiece, this fresh-picked favorite lets them celebrate the holiday and all its traditions in style.